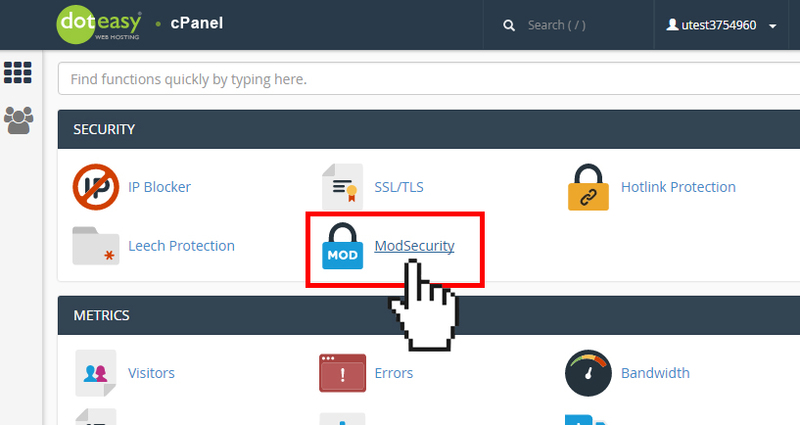 ModSecurity is a cPanel feature that helps protect your website from various attacks by blocking malicious scripts, programs and injections by use of regular expressions and rule sets. The ModSecurity interface allows you to enable or disable ModSecurity™ for your domain(s). ModSecurity is enabled on all Doteasy servers by default. We strongly recommend you do not disable ModSecurity. Disabling ModSecurity will put your website at risk from vulnerabilities.